from Made to Last, Matthew and Miranda! to Last. So join in all week for some serious fun! die…and I can run fast. really thick work boots. Because you totally didn’t specify that I had to be barefoot! crocodiles…with Miranda and her gun. never have fallen in love? enough guy to be able to admit that romance is good. yourself out of really answering that last question, Tagg. Answer one or all the questions below. How cool to see two such fun, talented, beautiful, smile-inducing women at the same place. That's my kind of two-fer. I'll answer the nails vs hot coals question. Nails. Gwynly is a chemistry teacher who has actually lain on a bed of nails. I don't remember why exactly, but he said it doesn't hurt. Something to do with weight distribution and all that. So, I figure he could tell me how to walk those nails without doing my feet in. The thought of walking on hot coals, however, totally freaks me out. Therefore, since I figure there must be some mind control aspect to it, I'd be starting at a disadvantage. So nails it is. Aw! Thanks, Keli!! So glad to see you visiting today. I loved her book too. Our book club is actually skyping with her tomorrow night. Yay us! I knew there was a trick to it. Nails is the way to go if you have to choose. Jess, this was so fun! 🙂 And yes, I did finagle my way out of that last question. Also, finagling is a funny word. Keli, I love your answer. I actually wondered that about nails…if it has something to do with evening distributing weight. I actually did step on a nail once in a corn bin at a farm I used to play at as a kid. I stepped on it RIGHT after telling my sister to be careful not to step on a nail. It went up through my shoe…funny thing is, I remember thinking at the time, "This hurts, but not nearly as bad as you'd think it would." It is fun! And yes, finagle–totally funny word. Hmmm…I'm answering the physically pain free one. Love it and lose it. At least then I'll still have all my limbs in tact. Easy way out. That's all I'm saying. Easy. Way. Out. Love you back, friend! And love and lose. A life without love…isn't life. Agreed! I think we should all know it, at least in some form. 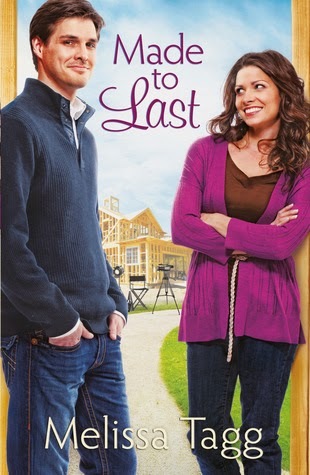 Just finished Made to Last – and it was great! I'm thinking hot coals would be preferable to nails. I think I could deal with the heat better than I could the sharp pain. And I'm no Diana Nyad, but I'd like to think I could get away from a shark if I needed to. I'm not so graceful on land! Yay, I'm glad you liked MTL!! Sorry, typos in the above comment. To have loved and lost…I have, by my own choice on the losing part, but I have a beautiful daughter from the love part. I will never regret it. You also learn how to make it better the next time around, which I did – still going strong 20 some years later. What a fun interview! I'd take hot coals and just run really fast. And how about a room full of puppies instead of sharks or crocs? 🙂 Maybe sharks? I know if you hit them in the nose you give yourself some time. You can thank Shark Week for that knowledge and me actually thinking about it in depth :). Not sure if crocs have a weakness…. Puppies! 🙂 I like that option a lot.